COLORADO SPRINGS, Colo. - Jeff Blashill, who recently completed his second season as head coach of the NHL's Detroit Red Wings, has been named head coach of the 2017 U.S. Men's National Team that will compete in the upcoming IIHF Men's World Championship. The event is set for May 5-21 in Cologne, Germany, and Paris, France. "We're extremely pleased to have Jeff lead our men's national team at the world championship," said Jim Johannson, assistant executive director of hockey operations for USA Hockey and part of the U.S. Men's National Team Advisory Group. "He's been successful at every step of his career and we know our team will be well prepared when the puck drops." Blashill will be making his debut as head coach of the U.S. Men's National Team. He has previously been involved with U.S. teams in international competition as goaltending coach for the 2009 U.S. National Junior Team at the IIHF World Junior Championship and as assistant coach for both the U.S. Junior Select Team at the 2009 World Junior A Challenge and the U.S. National Under-18 Select Team at the 2006 Ivan Hlinka Memorial Tournament. Before joining Detroit, Blashill for three seasons (2012-15) was the head coach of the Grand Rapids Griffins, the Red Wings' AHL affiliate. He led the club to three of the most successful years in franchise history, highlighted by a 2012-13 campaign that ended with the first Calder Cup championship in the 17-year history of the franchise. Blashill, who was born in Detroit but grew up in Sault Ste. Marie, Mich., won the Louis A. R. Pieri Memorial Award as the AHL's most outstanding coach in 2013-14 and was named head coach for the 2014 AHL All-Star Classic. He is the only coach in Griffins history to qualify for the playoffs in three consecutive seasons, leading the team to 92 points or better each year. Blashill joined the Red Wings' organization after one season as the head coach at Western Michigan University in 2010-11, where he doubled the Broncos win total from the previous season and led the school to its first appearance in the CCHA championship game since 1986. He began his coaching career as an assistant coach for his alma mater, Ferris State University. After four seasons (1998-02) with the Bulldogs, he spent six campaigns in the same role with Miami University where he helped the RedHawks reach the NCAA tournament four times. Blashill, a goaltender in his playing days, made his head coaching debut with the United States Hockey League's Indiana Ice, compiling a 72-43-5 mark as head coach and general manager from 2008-10. He guided the Ice to a franchise-record 39 wins in 2008-09 and Clark Cup title as playoff champions of the USHL. NOTES: The staff and players of the 2017 U.S. Men's National Team are selected by the U.S. Men's National Team Advisory Group, led by Jim Johannson, assistant executive director of hockey operations for USA Hockey. Other members include Stan Bowman (Chicago Blackhawks), Dean Lombardi (USA Hockey), David Poile (Nashville Predators), Ray Shero (New Jersey Devils), Dale Tallon (Florida Panthers) and Don Waddell (Carolina Hurricanes). In addition, Chris Drury (New York Rangers) and Bill Guerin (Pittsburgh Penguins) are serving as part of the management group for the 2017 U.S. Men's National Team ... For complete coverage of the U.S. Men’s National Team throughout the tournament, visit teamusa.usahockey.com … The official online home of the 2017 IIHF Men’s World Championship is IIHFWorlds2017.com … Both Bill Guerin and Chris Drury are members of the U.S. Hockey Hall of Fame ... 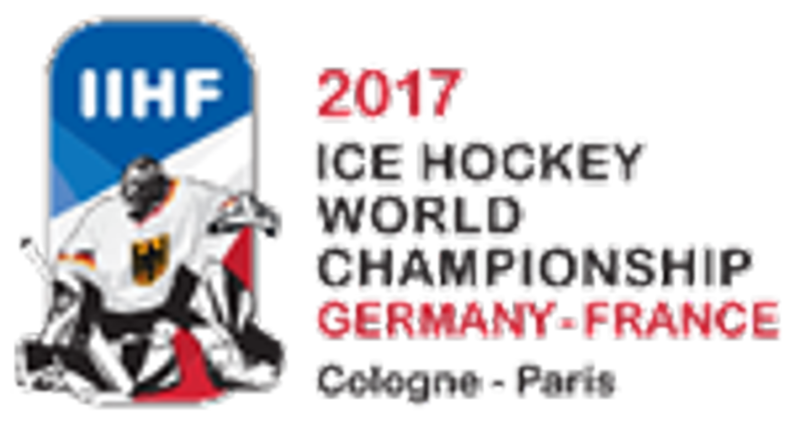 The U.S. has finished in the top four of the world championship in three of the last four years, a stretch that has only been equaled once in American history (1931-34) ... USA Hockey's international council, chaired by Gavin Regan (Potsdam, N.Y.), has oversight responsibilities for all U.S. national teams.